A couple of days ago, I received a sweet, sweet comment. Thank you, Ann-Marie, for making my day. 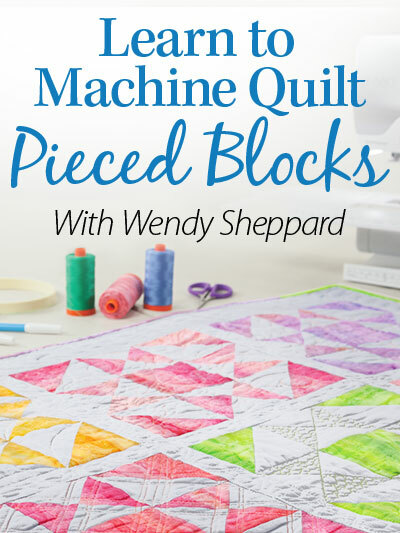 I am happy to announce another giveaway today — a free copy of my online Learn to Machine Quilt class, produced by Annie’s. Click here to read more about the class. Shown in the following are the topics covered in the class. 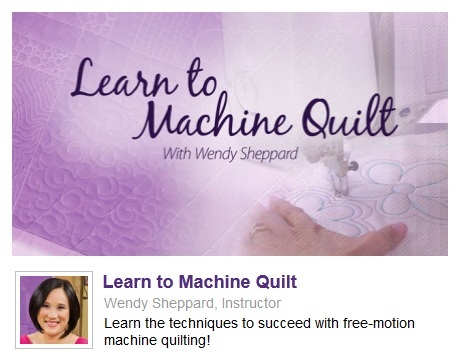 This class is designed to help beginning machine quilters to get used to moving their quilt sandwiches. It remains my firm belief that being able to maneuver one’s quilt sandwich is the key to enjoyable quilting on a domestic machine. Here are a few images of the class sample. Thanks for stopping by. I am still working on Iron Man II (or Insanity, as Mary calls it). But I am almost done piecing the top, woo hoo! This entry was posted in Quilting and tagged Learn to Machine Quilt class, Machine Quilting, Quilting, Wendy Sheppard. Bookmark the permalink. I am so intimidated, I haven’t even tried to machine quilt yet! Hi, oh Wendy I’d love to win this! I admire your quilting so much! I’m just a beginner at FMQ and have LOTS to learn+practice to go. I own a Bernina 210 (great machine), it doesn’t have a Stitch Regulator on it, so I feel like it’s all up to me. My problem is uneven stitches. I want so much to learn to machine quilt. It looks so easy when others do it, but I am a klutz. I have never taken a class because I think it would be a waste of money. My challenge is that I am so uneven in my movements that I get very bad places that weren’t supposed to be there. To win the class free would be awesome. your quilting is gorgeous! I practice on small practice sandwiches and do okay, but to put a bigger piece under the needle is my problem. I’ve no stamina and cannot work long enough to work a larger piece … they get too heavy to handle. My biggest problem is moving the quilt around under the needle. I know what I want to do….but getting it done is another thing!! I seem to fight with it—and I know it works for others…so I should be able to do it! I find creating smooth curves a challenge with domestic machine quilting. There always seems to be a corner in those curves somewhere! My biggest challenge is trying to a large quilt on my sewing machine. The small practice squares work ok, then I have a bigger project and the fabric doesn’t move the same. I have several challenges, however the most pressing is scale on a big quilt. I mark it and am going along just fine and suddenly I zig where I should have accelerated around the curve. It’s like my brain hiccups! I love reading your blog regularly and am constantly inspired. I wish I could incorporate a variety of quilting designs into large (and small) spaces like you do. I just don’t seem to be able to do so. I am thinking of taking your course though as I think it might be an eye opener! My biggest challenge is myself. I need to develop more confidence and I’m sure that only comes with practice. Would love the class! I’ve tried machine quilting and the biggest challenge I have is rolling the quilt and positioning it to quilt. I can do a small sampler but from wall to queen I can’t get it maneuvered! The class would be soooo helpful. My biggest challenge is “fear.” I’m just afraid to experiment and do, even though I know that almost everything can be overcome with practice, practice, practice! I have practiced ad nauseum, but am still afraid of failure! You do the most gorgeous machine quilting! I would love to win to learn how to do this on smaller pieces~ my stitches get too big, I can’t decide how to tie off neatly when my bobbin runs out, (right in the most conspicuous spot!) I’d love to learn your tricks. Thanks for the chance! I think it’s difficult to decide what to quilt in each area. My greatest challenge is pinning a large quilt. It’s hard to keep the backing straight and flat. Oh my, I have many challenges to overcome with FMQ! I will set aside #1 which is PRACTICE and say that #2 challange, for me, is figuring out what designs will look good. BTW, on the class preview I see that you are using a Bernina BSR. I have that option available to me. I could use some guidance on getting good results with the BSR. One challenge I have when quilting is keeping the lines equal distance from each other so it’s not just a mangled mess. My challenge is knowing WHAT to quilt…once I have a plan, I can generally get it accomplished. Just don’t know what is the ‘right’ design to use to complement my piecing. 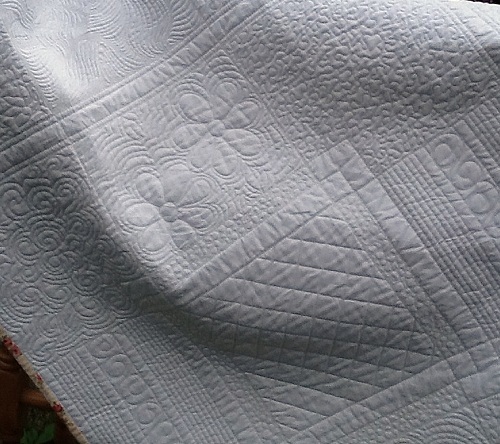 Your quilting is lovely and would love to learn from your class! I think I always have too many little messy looking places, even though lots of the time I think it looks good enough over all. I use a Bernina 750 _QE. Thank you for the opportunity. I am a newbie and have trouble with bobbin tension and getting the design to fit the space. Supporting the weight of the quilt! !! The larger a quilt is, the harder it is to get quilted because it is difficult to move. Even when you work on a small space, unless you want it densely quilted, maneuvering gets difficult. First, I would like you to know that your blog is my “go-to” when looking for inspiration. I am rarely disappointed. My biggest challenge is moving the quilt smoothly through the machine. It seems to snag at times so you can imagine what that does for the regularity of my stitching. It is getting better, however. My biggest challenge is starting and stopping, even with the needle down, I always have runaway stitches! and I forget to breathe :) but with your inspiration, I’ll just keep trying! Thanks for a chance to win. I definitely need help with my FMQ. My biggest challenge, I think, is getting my hands and feet to work well together. I tend to tense up, then speed up. My greatest challenge is the amount of time consumed by the need to constantly shift the quilt. I really admire the work you do! I believe in practice-practice-practice and just keep on doing just that. The biggest challenge I have had is getting the tension right especially on the bobbin side of the quilt. The other is decisions on just the right thread and quilting pattern for the project. Your work is beautiful and a joy to look at……. I find the hardest thing in FMQ is getting up my courage to begin. I have made quilt sandwiches, purchased dollar placemats, etc. to practice on. I believe with a dedicated class, I would gain the knowledge I need as well as the confidence I lack. Thank you so much for sharing your talent and beautiful work with us. I find it challenging to be consistent, especially when working on a large quilt. Would love to see your video for some ideas!!! What an awesome giveaway! My greatest challenge is being consistent. 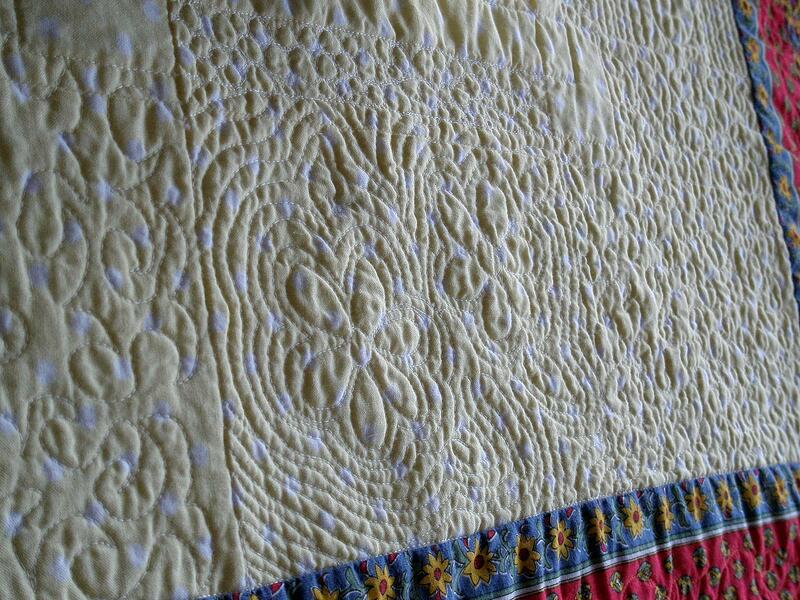 I’ve just not been able to master moving my quilt smoothly enough for my stitches to look like it flows. Your quilting is always so beautiful! My biggest challenge is not hurting my arms when I move the sandwich. Patience, That’s my problem. I start out slow then as time goes by I get careless and start going to fast makes mistakes slow down and it goes like that. I can’t seem to go along at a nice speed. I think it is hard to regulate the stitches in FMQ on a home machine. Then getting the right design for the area is hard to figure out. I would love to learn more about FMQ. I have not actually quilted anything real but just practiced. My greatest challenge is getting started. I somehow manage to think I will try it in the future and that never happens. My challenge to quilting on my domestic machine is that point I get to when I say, “Oh no, I’ve over done it. Should I rip that out?” I have to just step away and let the project ferment for a bit before I get back to it, because when I do, I realize that all the quilting I have done so far, is just fine. I guess you’d call that second guessing myself. BTW, I love seeing your quilting. You are truly inspiring. One of my biggest challenges is deciding how to quilt something, what designs to use where. I thoroughly enjoyed your tutorial on the 2012 Free Motion Quilting Challenge, but I haven’t actually felt confident enough to use Jester’s Hat on a quilt. I would love to take your course! Wendy, your work is always exquisite. Everything you show us is just absolutely perfect. I am so glad I found you. I like fmq little stuff. The big things, oh my, I am afraid I will spend every day ripping out a mess. The little things I can handle. Mine does not look fabulous, and I certainly do not know the names of any of these. The samples from your class look awesome. It’s hard to believe I could accomplish those same results. My one try at machine quilting produced very uneven stitches and jerky movements! I own a Bernina but without a stitch regulator. 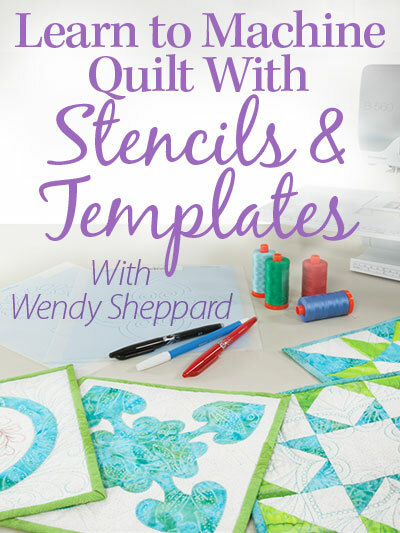 Wendy, one of my challenges is choosing quilting designs/motifs. I waste a lot of time with indecision. I admire your ability very much, and I appreciate your Thread Talks. I bet your class is very informative and fun! and have to learn how to use the BSR. I think your class would be great for me. I enjoy and like making BIG quilts. Typically no less than large twin so domestic machine wrangling isn’t fun! I have difficulty “seeing” where I’m going in the quilt. Since I’m fairly new finding practice time is also hard. What an awesome opportunity! Maneuvering large quilts on a domestic machine is a bit daunting for me as is maneuvering a quilt to quilt in general. I even have problems with the slippery pad underneath and holding on with gloves! Oh Wendy, What a wonderful give-away to the lucky winner. 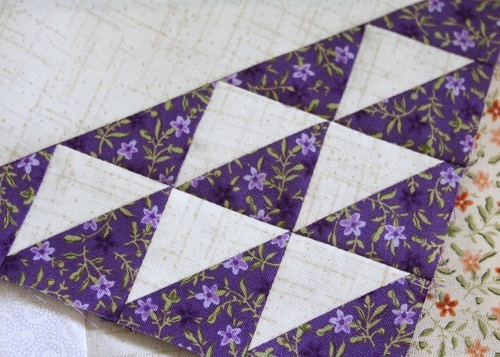 I thoroughly enjoyed your FMQ online class a while ago; it is definitely an informative class. Sew much to learn and you have sew much expertise to offer. Definitely an award winning class. I am not artistic and I can’t think ahead as I’m quilting of what I want to free motion. Lol. Just bought the Bernina 750 so I can free motion and would love a class with you. Your work is beautiful. I am always challenged trying to remember in what order to stitch a feather! I love the look of them in a quilt but can never seem to make them the same twice. Feathers are the “bar” I’ve set for myself . . .when mine look as good as yours I will feel like I’m an honest to goodness quilter! 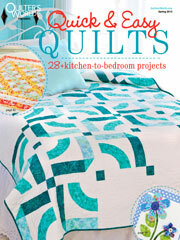 I am always looking for ideas of how to quilt my quilts. It would be great to win a class from you to help me! My biggest challenge when quilting my own quilts is having enough room to move my quilt. I have very little harp space, and it’s difficult. There isn’t a comment above that I have not had!!! Getting over the fear of failure and ruining a top that I love, and just to it…..that’s what I need to do. I think taking your class would be a great asset. Wendy, thank you for your blogs. It is lovely to hear your stories and see your stunning work. I have trouble moving a full sized quilt through the harp on my bernina, I dread that part! Moving a large quilt in free-motion quilting is my big challenge. Seems all I do is push and shove! I end up with aching shoulders and hands. Would be great to see if there’s a better way! thanks for this giveaway. My challenge is quilting big quilts. My challenge is trying to come up with the quilting design once I have my quilt pieced. My main problem is maneuvering the quilt and keeping it from dragging to floor or catching on the corners of my table. It takes me forever to come up with the design I wish to use on my quilts. Thanks for the give away!! My biggest challenges are getting started, because I’m afraid I’ll mess up, and keeping curves smooth. Biggest challenge is patience. I want to finish NOW, and have a hard time slowing down the pace and taking time to relax and enjoy the process. I know I need to practice more and that would help a lot. But it is overwhelming quilting a large quilt on my home sewing machine, controlling that quilt so that I can quilt a pretty design. Thanks for all your tutorials, I do appreciate them! Big problem is deciding what to quilt. Love what you are doing. My biggest problem is getting the speed of my hands moving the quilt sandwich to match the speed of my foot/needle. I love the samples that your students have made. You must be a great teacher in order for their work to be so beautiful. I think my biggest problem is handling the quilt and knowing what speed I should be quilting to get smooth lines. Love your quilting. I have good tools – Bernina with BSR – but can’t seem to keep it smooth. I resort to using my embroidery module or the built in decorative stitches instead of FMQ. As my name is Anne Marie as well, for a moment, I thought I had won something that I really need. Then my hopes were dashed!!!! Never mind, I will try again. I have no problem piecing. I do have a problem free motion quilting.I tend to stick to straight lines or wavy lines. I’m a coward. I can manage totally random but I get lost when I try a design. I love your quilting, it is so neat and effective. Keep it up and I will keep practising!! I have just read through all the comments and I have agreed wth every one of them!!! They are all my problems as well!! Ah well! My challenge? I haven’t machine quilted yet! Just bought a brand new machine and can’t wait to start learning. I’ve been salivating over your gorgeous work that is sooo inspiring. I will be quilting along fine, and then I panic! Seems like I forget where I am going togo next. I know I have to stop and get my bearings and then proceed again. I just wish I could get over my panic. My biggest challenge is keeping my pattern flowing. I would love to win this. What a wonderful opportunity for your class! I’ve followed your blog for quite a while, and I’m always learning from your techniques. My greatest challenge is keeping a smooth stitching line. When I move my hands to transition to a new area, even with the needle down, there is sometimes a tiny “jog” in the line, despite my best attempt to stay on course. My biggest challenge is keeping a consistent speed and not ending up with tiny stitches followed by big jerky stitches. Thanks for the chance to win. I need help! I love getting your newsletters and seeing all your beautiful work. My biggest challenge is making smooth arcs in the designs. I don’t know how to lower/cover the feed dogs on my machine — it is an old one. Having the room to quilt and keeping it up on the table without it dragging and pulling my quilt right out from under my sewing. UGH!!! Thanks for the giveaway. I mess up my tension a lot. I’m just starting out, and trying to get a feel for it. I know it takes a lot of practice, so that’s what I’m doing. I would LOVE to win so I can take your class! YOu do amazing quilting! new to quilting and am making a drunkard path. having trouble with sewing curves. My biggest challenge is getting the stitches uniform and not looking like they are huge. I need help with that the most. Having problems with the backing puckering up. Thank you for the chance. What I love is the freedom to stitch; what I really need, however, is a quilt management class! Even on a sit-down longarm, the “beast” can become a bear to push/shove around, resulting in less than lovely stitching. help? I haven’t tried to quilt yet. I just don’t know what to do with all that fabric. I am determined to become a proficient machine quilter, however, I seem to have difficulty getting my hands to move to the ideas and visions in my head. Practice, stencils and marking helps but it seems one direction goes really well while the other is extremely challenging. It does not help that I really enjoy hand quilting and have been known to pick out the machine quilting and then do it all by hand. I have found if I leave my work for a couple of days I realize it is not as bad as I thought. Give it a few months and it looks much better. I guess I am getting there but I am sure your class would really help. Thanks for offering the giveaway. The biggest problem I have is ROOM! I have none on my domestic machine, lol. :) Thanks for the wonderful giveaway. 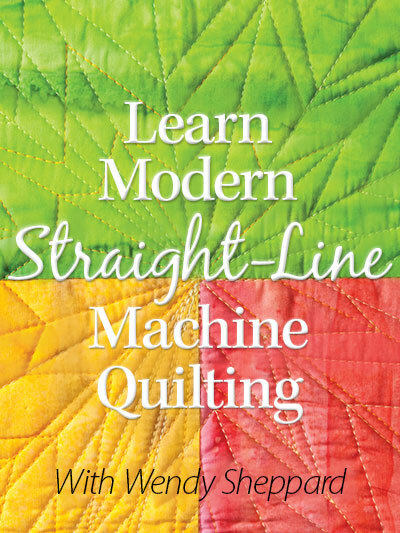 I have everything to learn about machine quilting. The main thing is just getting started. I have admired your machine quilting for a long time. I would love to win. My challenge has always been, and continues to be, coming up with a cohesive design for the quilting. Whether I’m on my domestic or long-arm machine…when it comes to creating a design, edge-to-edge, or custom…I have a difficult time seeing the “big picture”! My biggest challenge is deciding what designs to use for quilting. I have a hard time figuring it out before I start. The hardest thing for me is muscle fatigue. After only 20 – 30 minutes. my back and shoulder muscles are burning. Makes it hard to want to practice as much as know I should in order to improve. This would be amazing to learn! I have a bernina 430 but I don’t have a stitch regulator so because I’m not very experienced in machine quilting, my curves are often more angular than curvy. Consistency, consistency, consistency … Help! This is one quilting processe I’ve been putting off. From the comments I’ve read your machine quilting class is what I need. Going to sign up for it now! I did the quilting for my MIL’s quilt. It had dachsunds on it. (spelling) Tried something different in each row and I am quite proud of myself. Unfortunately I have tendonitis and my arms and hands didn’t like it. So I have to do small amounts of quilting at a time. Thanks for the giveaway! I would love to win this free class. My free motion quilting leaves a LOT to be desired. My FMQ is very jerky looking. i NEED HELP, PLEASE. I can use all the help I can get. Would love to win your class. While not a beginner I would love to win this class as there is always new tips to pick up. Am following your blog and admire your FMQ. Finally did manage to quilt the jester hat over an entire quilt. Thanks so much for your informative posts. I have the most difficulty keeping my stitches consistent. My biggest challenge is getting the queen+ size quilts I make in the throat plate! I bought a Sweet 16 and am having problems moving around large quilts and getting smooth lines and curves. I am doing well with rulers but would love the smooth flowing lines. Maybe your class would help! I’ve been FMQ for about 3 years now. Ve gotten much better! I have my machine set flush into a handmade table (just a piece of plywood 4X8 FOOt mounted on 4x4s for legs…..I’ve shellacked the piss outta the plywood for smoothness). I’ve also go my machine turned at 90 degrees because I like it in this orientation. I can remove the machine and put it in an alternate slot turned horizontally for regular piecing. The machine I have has 7 inches of throat space. It’s a Husqvarna Viva which I purchased about 10 years ago. I’ve FMQed an 80-90 quilt on it. This is the biggest ve ever done. It was a nightmare, but possible! Larger and more open I want my motif, the harder. It gets. Sometimes you just don’t want a really densely quilted quilt. I HATE marking a quilt…I mean, the idea behind FMQ is to not have to mark. 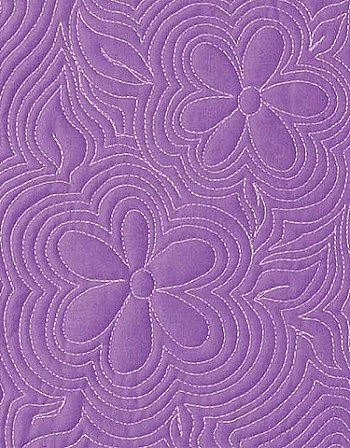 Any tops you have for quilting larger scale FMQ on a domestic would be greatly appreciated! I love your words of encouragement. Thanks so much, as a hesitant machine quilter all kind words are accepted. 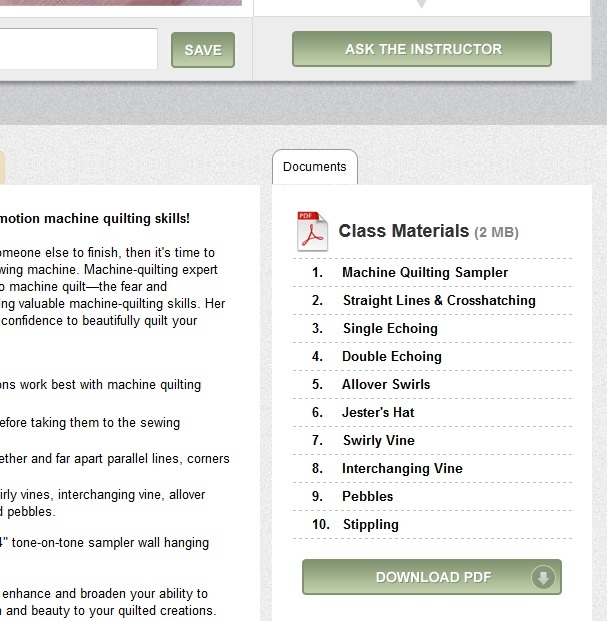 You are my hero and absolute “go to” teacher for free motion quilting. I’ve been practicing so much but my biggest challenge is anticipating where to go next for the next “curly” or feather or whatever I am quilting. I need more help with forward thinking! Thank you so much for a chance to win your class. I have tried marking the quilt top and I have also tried using a freezer paper template, my biggest challenge is letting go of these safety nets. Love your blog! I am still stitching everything “in the ditch”! Im afraid of ruining all the piecing that I have done, for one thing. I admire your work, and hope to soon break away from this habit! I think my biggest challenge is scale. I want to keep my motifs at the same size and I would like to be able to quilt a larger scale. My biggest problem is moving my hands at the same speed as the machine. I don’t seem to plan my spacing well. I either end up with small spaces with nothing in them (and I have a hard time with teeny stippling) or I have a space that is just the size that the design doesn’t seem to fit so I use stippling which doesn’t always flow well. I’d like to learn to fill the spaces appropriately so the finished quilt flows. I have a hard time quilting bigger quilts with my little bernina! People say it can be done but I get so frustrated….Love your blog!!!! Super talented! I think my biggest challenge is visibility. It is hard to see where I have been and where I need to go. I am a newbie at free motion and even with a stitch regulator I struggle to quilt even a small project. I have only tried to quilt one quilt. I didn’t really know how to start or what to do. I would have to say the biggest challenge for me is to pick the quilting design. I learned how to machine quilt on my Kenmore sewing machine. It just takes the mindset of sitting down and stitching! Thank you Karen for sending me this way! I can quilt pretty well with my walking foot if it is straight lines but would love to learn to fmq and am scared to death to do it. I’d love to win a class to learn all the ins and outs. I have trouble with keep stitches even especially on curves. 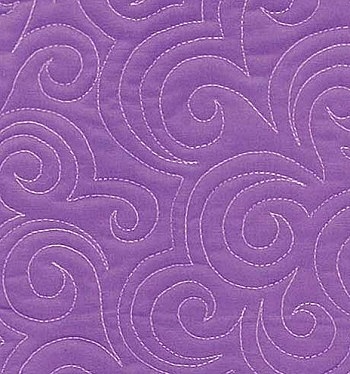 I am practicing walking foot quilting right now, but some quilts really call for curved designs. I find it challenging to come up with the quilting design I want to use. I like to try them all and don’t know which to decide on. Gosh, my biggest challenge with FMQing is getting the confidence up to do it! I keep getting distracted with other things but this is really something I want to learn! Your class sounds wonderful. Thanks for putting my name in the hat for the giveaway! I think controlling the quilt without getting stops and starts. I always wind up stippling. I am not very good at drawing so idk any other patterns to try? I guess I am not sure when to use what pattern, so i just meander. Thank you for the chance to win! 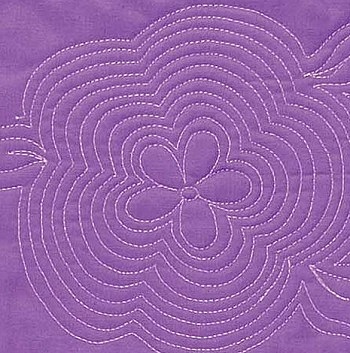 When I tried free motion quilting I did not like that the stitches are all different lengths – I soon was discouraged and have not tried again since. 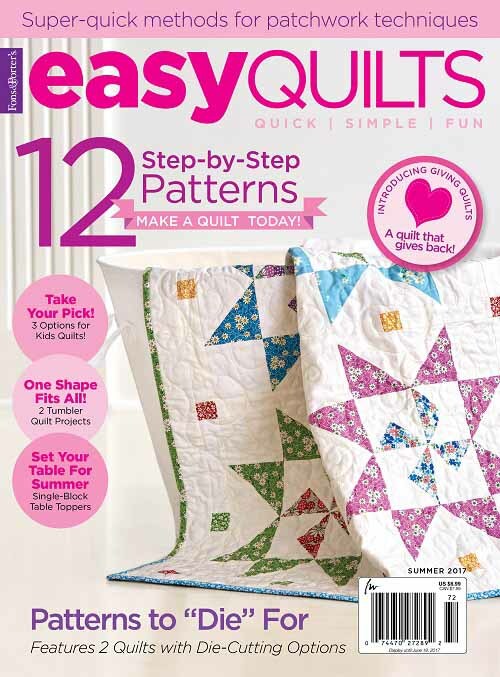 My biggest challenge is having a go, I am inspired by the beautiful quilting I see but also intimidated by it. Your class sounds just the thing to help! Fear. Fear of so many things. It’s amazing how you can’t let fear stop you from progressing in all walks of life and so you challenge yourself but with quilting I’ll need a lot of support! Would love this opportunity. My challenge is smooth stops and starts and what do I do with thread ends? so tired and sore if I stay too long at the machine. I would love your class. Wow. One Challenge. Ok, keeping my stitches even. I keep on speeding up, slowing down. The more I think about what I am doing, the slower I stitch! My biggest challenge is making a nice design. I can’t move the quilt smoothly enough to make the design look nice. I have not even tried yet because I am not sure where to start. Consequently, I have many unfinished quilt tops. Beautiful quilting! My biggest issue is getting thread build up wherever there is a point–I guess I must hesitate–trying to figure out where to go next! Would love to win your class. I have been attempting to quilt small quilts but need all the help I can get. My biggest challenge is accepting the fact that I am not a computerized long arm machine and my quilting is not going to be perfect. I have ripped out hours of quilting because I am my harshest critic. I need to let it go and simply enjoy the process. I am imtimidated before I sit down and it goes downhill from there. My stitch length is al over the place and I am jerky jerky with points when I want flow and curves. I think I’m FMQ chalenged! I quilt on an HQ 16, for myself and for others, and find that Feathers Are Intimidating! Any tips for calming those fears would be appreciated. I quilt on my domestic machine and I am still learning the basics. Your video would be so helpful! Thanks for giving us this opportunity to win. You have done some beautiful work and I am sure your tips will help all of us. I would love to win your class. I have done some free motion quilting. My challenge is to learn feathers, feathers are my big problem. I just can’t get them right. I would love to learn all I can from you. Thanks for a chance to win a your great class. My biggest challenge is matching the speed of my hands to the speed of my foot pedal! You continue to be an inspiration and are very generous with your instructions. Thank you demonstrating that quilting is possible on a domestic home sewing machine. Blessings to you. The bulk of the quilt under the machine, and deciding what pattern to quilt. I have tried FMQ in the past without much success. I have trouble with tension and even stitches and do not feel comfortable with the process. I keep coming back and trying periodically hoping that someday I will catch on to process. I want to try again. Thanks for the chance to win. My problem is that I don’t know anything about it other than that it is very different from hand quilting and I haven’t tried it because I have no idea what I am doing and am scared to mess things up! I’m still learning and any help is great, so many have a lot to teach. Love your FMQ. I struggle with the bulk of the quilt, especially when I am trying to FMQ. It is hard enough to use my walking foot to do straight stitching but having space for enough movement with the BSR (Bernina 440QE) is frustrating. I can’t get enough momentum going to have smooth quilting. I hope I am not too late to enter–I too struggle with the weight and size of the quilt I am quilting–am trying to improve and am trying to pay more attention to tension–of the stitches and not my tension–I am learning to enjoy the process but would really love to take your class to learn more and have it available when I have the time. I do struggle with how to decide what motif etc. to use when quilting and hope I can learn more about that too. 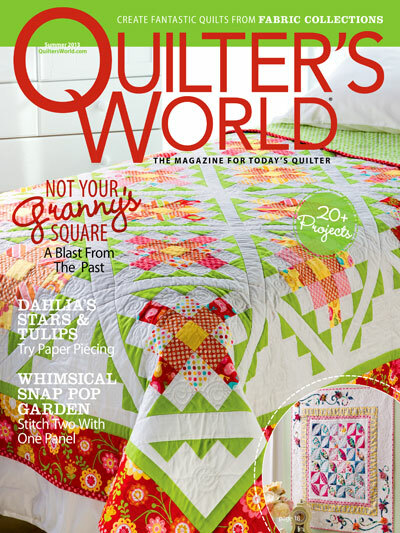 I love your quilting and have enjoyed reading about your process.